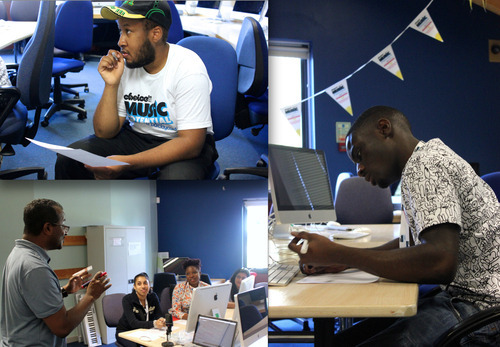 DV8 Training’s Music & Media Centre in Walthamstow played host to the first London leg of ChoiceFM & Barclaycard’s Music Potential on Tuesday, Sept 4th. 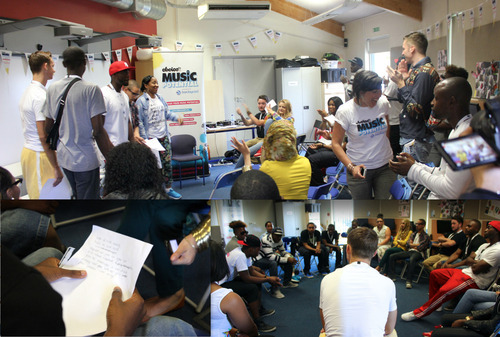 The Music Potential taster sessions are the first stage of a journey that will take the most talented and motivated young creatives to Wembley Arena in January 2013. The initial call went out on Choice FM to recruit young people keen to develop their talents, build skills and gain essential training from industry professionals; they turned up by the dozen to take part in the radio, music production, songwriting & performance and DJing workshops ran throughout the day. All were eager to gain practical experience from an Industry In The Streets (IITS) delivery team with a wealth of experience. Once MP Collective Ambassadors, Andre H and Romiane, welcomed the participants it was time to get creative. 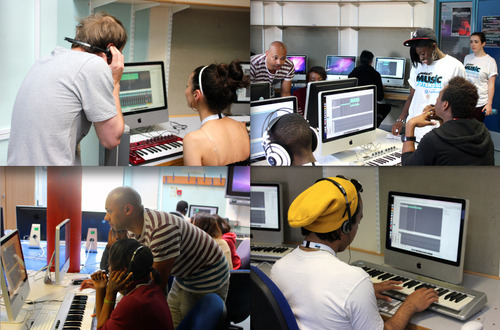 Grime and dubstep pioneer Wonder worked closely with up-and-coming producer Joss Ryan to oversee the music production masterclass. Offering expert knowledge to all of the young producers taking part, the team shared tips and gave a helping hand where needed. Check out the results on the Music Potential Soundcloud. Elsewhere, celebrated radio producer Ray Paul took charge of budding broadcasters and put them through their paces before helping them script and record a radio ad. Funky house mixologist Funk Butcher was across the foyer teaching young people the art of DJing. Many of the eager turntablists attending the class had never even touched a CDJ before in their lives but demonstrated an uncanny natural knack for mixing. The singers, rappers and songwriters gathered in the Conference Suite were left in the capable hands of gifted vocalist Shezar. An experienced vocal coach with boundless energy, Shezar mentored the group; getting them to warm up their voices before teaching them various breathing techniques to help them control their pitching. Grime emcee Jammin was also on hand to challenge the songwriting capabilities of the group as they wrote to one of his instrumentals. It was amazing to see how quickly themes were developed and ready for execution. By the end of the session, many had the confidence to showcase their songs in front of a packed room. Standout performances came from young soul star Luke Burr and lyricists King Bowser and Bundi. This led nicely into the Industry Panel discussion, masterfully hosted by Fusion. Keynote speakers Natasha Mann (Senior Marketing Manager at Island Records), George the Poet and Zeon Richards (manager of last year’s Music Potential ambassador Wretch 32) were ready to share stories and dispense words of wisdom. Music Potential participants all had the chance to pick the brains of our industry insiders and gained invaluable insight into what it takes to make it in this often-cutthroat business. 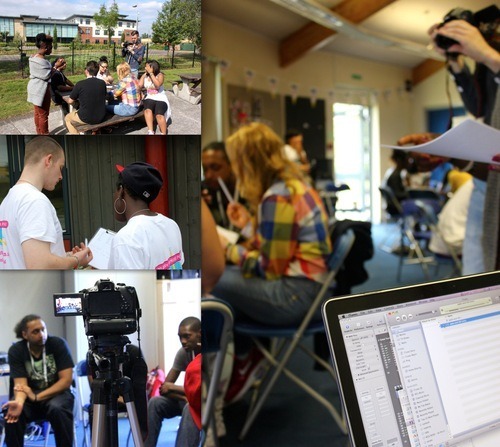 The taster ended with a networking session: BBM pins were exchanged between newfound friends, mixtapes were distributed, application forms for DV8 Training’s brilliant courses were filled in and eager participants enquired about the next stage of the Music Potential adventure. Judging by the talent on display, the Music Potential X 5-day workshops will be brimming over with talent when they kick off in November. Massive thank you to Choice FM, Barclaycard, DV8 Training, The Collective, Fusion, Chelle Parker, Alexis Michaelides and the whole Music Potential Collective.